Spring has sprung in Florida, and it’s beautiful! My dinner plate dahlias are growing strong, and I can’t wait to see what they look like in full bloom. 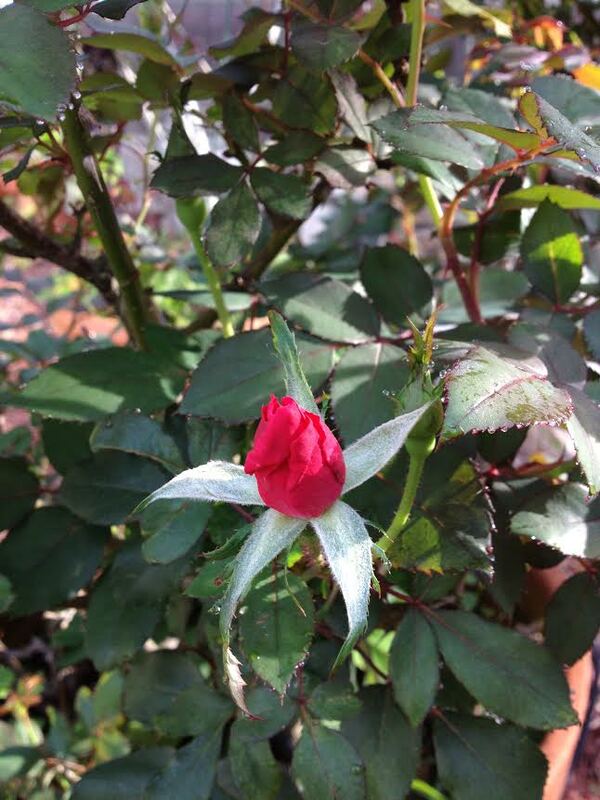 But I must patiently wait for the buds to appear and then, open. Such a rich truth to apply to our marriage. Growth happens slowly–over time. We may work really hard preparing an area of our marriage for growth like learning new communication skills, or starting a budget. Maybe we attend a marriage seminar or read a really good book revealing areas that need our attention–and we start making application. But the process is slow. We may not see growth as we had hoped. Things may stay the same causing us to be discouraged, even questioning if all our effort is worth it. And to this we want to say loud and clear…Yes.It.Is! Put your ATM card in the machine, withdraw cash instantly. Throw clothes in the washer/dryer, push start and in no time your clothes are clean and ready to be worn again. Hop an airplane and you can be anywhere in the country by the time the sun sets. Don’t like what you’re watching on TV, click a button on your remote and choose from an endless variety of options. But marriage isn’t a quick fix. We can’t change the channel if we don’t like it. We can’t withdraw cash if we haven’t made any deposits. Our clothes only get clean if we’re willing to get our hands dirty, so to speak. Relationships require cultivation in the same way they did hundreds of years ago. Technology hasn’t made relationships easier, and it can’t give you a better marriage. It can make certain parts more convenient, but for your marriage to grow healthy and strong you simply must do what you know to do, and keep doing it until you see results. Are you willing to work this hard? If you’re not, then you know what part of your marriage you need to work on first–your own motivation. You’ve heard the phrase, quitters never prosper, and it couldn’t be truer in marriage. Those whose marriages succeed are those who do the hard work day in and day out. They didn’t get a better spouse than you. They just took what they had and made the most of it. Imagine how beautiful your marriage would be if you followed this principle in all areas of your relationship, not just the ones you enjoy? Let’s be faithful to do the things we know to do with the strength that God provides. I have a feeling that if we do, we’ll reap a rich harvest in our marriage that will cause others to pause and take notice of its beauty. What areas in your marriage are in need of your care and attention? This entry was posted in Christian Marriage, Difficulty, Growing Strong Marriages and tagged Ecclesiastes 9:10, marriage, Quick Fix, There Is No Quick Fix For Marriage. Bookmark the permalink. Amen! Great reminder! It’s easy to fall into the “quick fix” or “immediate gratification” mindset in today’s society. But marriage just doesn’t work that way. And honestly, I think God intended it that way. It causes spouses to have to be very deliberate in how we treat each other. There’s no such thing as cruise-control in marriage. We need to drive this thing from start to finish. Even though it took me over 20 years of marriage to learn this, I’m GLAD that I did. A great marriage takes work and prayer – nonstop. Put in the effort, and you WILL be blessed with the results! Thanks for commenting and adding your experience to this post. Hope you’re doing well! Pingback: Intimacy in Marriage – and how important it is! « The fragrance of marriage! So very true! We’ve come to expect quick and easy. Almost every marketing push you hear promises immediate, dramatic results with no effort or change on your part. Lose weight without diet or exercise. Get out of debt without changing your spending habits. Etc. Everybody wants something for nothing. Life doesn’t work that way. Neither does marriage. Thanks for the reminder! You’re welcome, Scott. We all need to be reminded because we all are subject to the lure of the siren’s call to take the broad and easy path. Hope you’re doing well!